I am pleased to announce, on behalf of The British School in Colombo, that Hannah Wells has been appointed to be the new Deputy Principal (Head of Junior School), with effect from August 2018. The vacancy attracted a large number of highly qualified candidates. At the end of a long and thorough selection process Hannah emerged as the outstanding candidate among three who were short-listed for the final round of interviews in Colombo in early February. Hannah Wells is currently Vice-Principal at Harris Primary Academy in London. 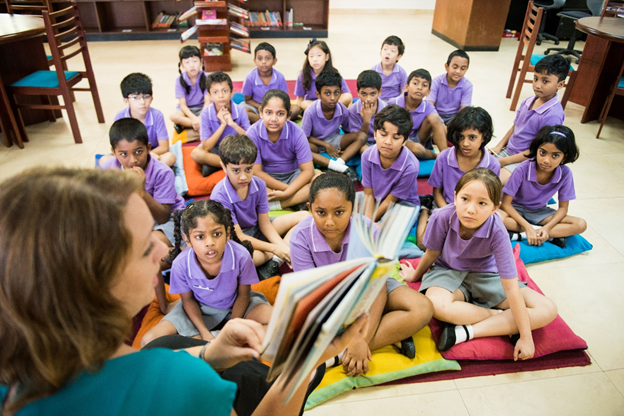 Earlier in her career, after five years’ teaching in England she spent the next seven years working with Kings’ Education in Dubai, ending up as Assistant Head and then Deputy Head at Kings’ School Nad Al Sheba. 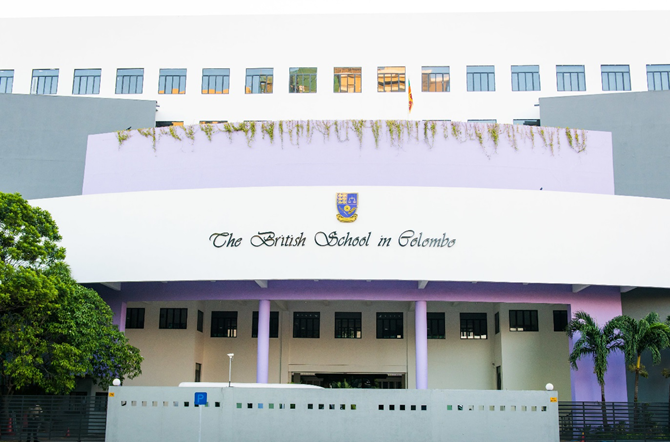 The British School in Colombo is one of the leading British schools in the subcontinent, and has an enviable reputation for providing high quality education in a caring, nurturing environment. We are now seeking an outstanding educationalist to lead our Junior section of the school. The current Deputy Principal (Head of Junior School) has been with the school for 4 years and is now leaving to return to the UK. Sri Lanka has come out of a period of conflict and the sense of optimism in the country is reflected in the school. We are excited about our future and this will be an exciting place to work and develop professionally in the coming years. There will be challenge and rewards here for teachers at all stages of their careers. We realize that school leaders will apply to BSC for a number of possible reasons. However, what is the case is that successful teachers here usually have a number of things in common. First and foremost, they are enthusiastic and flexible. People need to be willing to rise to a challenge of adapting both culturally and socially to a new and very different environment. Of course, Colombo provides a wonderful base from which to explore and travel both Sri Lanka and the wonderful richness of south and east Asia. However, successful teachers also recognize that the school provides an outstanding opportunity for them to develop professionally through not only their own work but by helping others to develop professionally too. Education is vitally important in Sri Lanka and therefore, school leaders are held in very high esteem. Within our community, it is vital to be enthusiastic about teaching and learning and to recognize that successful teaching is a collaborative activity. Successful expatriate staff at BSC appreciate that the school is an independent, fee-paying school and parents take a strong interest in the progress of their children. Anywhere in the world teaching is a difficult job: it is no different at BSC. We recognize that leading teaching at BSC is as demanding as it is rewarding. All colleagues need to go the extra mile, whether that it for academic work or for extra-curricular activities. Dedication and commitment are expected. The rewards are considerable: successful teachers enjoy teaching some of the most enthusiastic students anywhere, parents are extremely appreciative and respectful and school colleagues provide excellent companionship and support. Colombo is a somewhat chaotic and busy city, with a hot and humid tropical climate. Nevertheless, it is a culturally and socially vibrant place, boasting a wide range of cuisine and it is a wonderful centre from which to explore the sub-continent and South-East Asia. 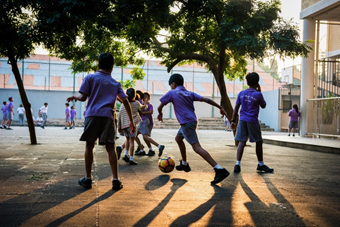 Before applying to any international school it is important to think carefully about whether the environment is right for you: this is no different in Colombo. From having worked in a number of different international schools, I am certain that those who arrive in this wonderful city with their eyes open and a willingness to take full advantage of what Sri Lanka has to offer, will thoroughly enjoy their stay and, like many of my colleagues, will wish to remain in the area for much longer than an initial contract. If you are interested in working with us, please contact David Cope of Search Associates (dcope@searchassociates.com) as soon as possible. I recommend that you take a little time to read the Information for Candidates below and visit our website www.britishschool.lk. The British School in Colombo is an independent, co-educational day school which follows the National Curriculum for England. 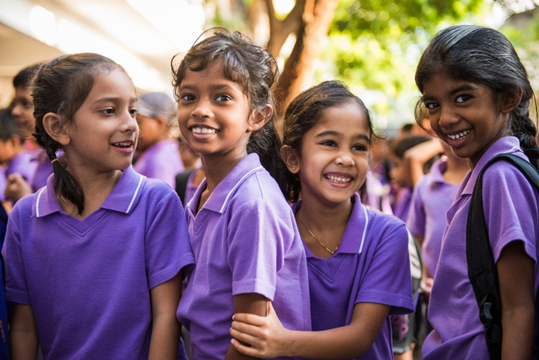 The school serves an international pupil body with some 53 different nationalities although the majority of children are of Sri Lankan origin. The school employs both local and expatriate teachers. There are currently 1400 pupils on roll with 750 in the Junior School. The school is housed in modern, purpose-built accommodation with dedicated facilities for science, computer science, art, music drama and sport. The professionally equipped Auditorium is used for assemblies and productions throughout the year. There are also 2 libraries and a multi-media room for sole use by Junior School pupils. 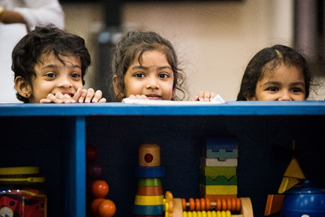 Focussed on the principles of holistic education, child-centred excellence and inclusivity, the Junior School sets out to provide a broad educational experience in which all pupils are prepared for a successful and healthy future founded on mutual respect, self-discipline and a love of learning. It is a school where children can experience many opportunities and develop confidence in a challenging and inspirational environment. 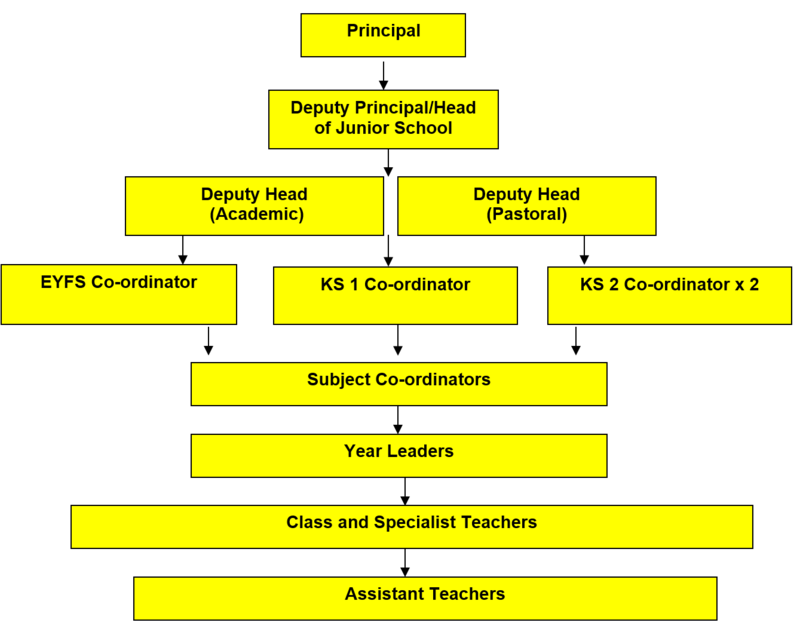 The Deputy Principal (Head of Junior School) works closely with the Deputy Principal (Head of Senior School) to ensure continuity of learning, close co-operation between staff and the implementation of one school ethos. There are currently 75 full and part time academic, sports and learning support staff. From Nursery (2.5years) to year 2, each class has a full-time teaching assistant and there are dedicated learning support teachers for each key stage. From reception, there are 4 classes per year group with a maximum of 24 pupils per class. The school is oversubscribed with waiting lists in most year groups. The National Curriculum for England is followed throughout the Junior School with adjustments to take account of our Sri Lankan setting and the international context. From Nursery to Reception, the Early Years Foundation Stage Framework is used as a guideline for our practice. The Deputy Head (Academic) tracks the progress of each child with termly reports to parents providing good information on progress and achievement. A full programme of curricular and extra-curricular events is compiled each term and published to parents through the Parent Portal on Engage. Pupils and parents particularly value the various whole-school days such as Book Week, UN Day, Languages Day and Science Week which are annual events designed to extend and enrich the curriculum. All teachers participate in the after-school provision for KS2 pupils and there are currently over 50 different sports and activities on offer. The school is committed to a strong home-school partnership and there is a proactive and thriving Parents’ Teachers Association. This includes parent representatives from all year groups and organises many social events whilst also raising money for charitable causes and additional school resources. To provide vision, leadership and management for the Junior School, which secures continual improvement in the school through high quality, engaging and fulfilling education across all age groups. Employment duties: To undertake duties as described within the Contract of Employment and any other reasonable duties as requested by the Principal. Works closely with the Principal and others to ensure that the overall School Ethos and Vision are implemented effectively within the Junior School. Works within the school community to translate the vision into agreed objectives and operational plans which will promote and sustain continual school improvement and a sense of team ownership. Demonstrates the vision and values in everyday work and practice. Motivates and works with others to create a shared culture and positive climate. Ensures creativity, innovation and the use of appropriate new technologies and initiatives to achieve excellence. Ensures that strategic planning takes account of the diversity, values and experience of the school and community at large. Establishes teaching practices that ensures Foundation Stage, KS1 and KS2 continue to offer an integrated education. Ensures a consistent and continuous school-wide focus on pupils’ achievement, using data and appropriate benchmarks to monitor progress in every child’s learning. Ensures that learning is at the centre of strategic planning and resource management. Ensures a culture and ethos of challenge and support where all pupils can achieve success and become engaged in their own learning. Demonstrates and articulates high expectations and sets challenging targets for the whole school community. Implements strategies that secure high standards of behaviour and attendance. Determines, organizes, and implements a diverse, flexible curriculum and implements an effective assessment framework. Takes a strategic role in the development of new and emerging technologies to enhance and extend the learning experience of pupils. Monitors, evaluates and reviews classroom practice and promotes improvement strategies. Challenges underperformance at all levels and ensures effective corrective action and follow-up. Has a track record of developing CPD for staff which places learning at the centre of school activity. Treats people fairly, equitably and with dignity and respect to create and maintain a positive school culture. Builds a collaborative learning culture within the school and actively engages with the Deputy Principal (Head of Senior School) to build effective learning communities across the whole school. Develops and maintains effective strategies and procedures for staff induction, professional development and performance review. Ensures effective planning, allocation, support and evaluation of work undertaken by teams and individuals, ensuring clear delegation of tasks and devolution of responsibilities. Acknowledges the responsibilities and celebrates the achievements of individuals and teams. Develops and maintains a culture of high expectations for self and for others and takes appropriate action when performance is unsatisfactory. Manages own workload and that of others to allow an appropriate work/life balance. Produces and implements clear, evidence-based improvement plans and policies for the development of the school and its facilities. Ensures that, within an autonomous culture, policies and practices take account of national and local circumstances, policies and initiatives. Manages the school’s financial and human resources to ensure effectiveness and efficiency in achieving the school’s educational goals and priorities. Recruits, retains and deploys staff appropriately and manages their workload to achieve the vision and goals of the school. Implements successful performance management processes with all staff. Manages and organises the school environment efficiently and effectively to ensure that it meets the needs of the curriculum and health and safety regulations. Ensures that the range, quality and use of all available resources is monitored, evaluated and reviewed to improve the quality of education for all students and provide value for money. Responsible for promoting and safeguarding the welfare of children and young persons s/he is responsible for, or comes into contact with. Uses and integrates a range of technologies effectively and efficiently to manage the school. Develops a school ethos, which enables everyone to work collaboratively, share knowledge and understanding, celebrate success and accept responsibility for outcomes. Works closely with the Principal to provide information, objective advice and support to enable the Principal to meet his School-wide responsibilities. Develops suitable quality assurance systems, including school review, self-evaluation and performance management and presents a coherent, understandable and accurate account of the school’s performance to a range of audiences including Directors, parents and carers. Reflects on personal contribution to school achievements and takes account of feedback from others. Developing communication flow with the wider community to build upon all stakeholders’ confidence and understanding of the Junior school. Builds a school culture and curriculum that takes account of the richness of the school’s communities. Ensures learning experiences for pupils are linked into and integrated with the wider community. Provides a range of community-based learning experiences. Collaborates with other agencies in protecting children and providing for the academic, spiritual, moral, social, emotional and cultural well-being of pupils and their families. Creates a wholly inclusive environment whereby all children with physical or learning challenges can be welcomed and supported appropriately. Creates and promotes positive strategies for challenging racial and other prejudice and dealing with racial harassment. Creates and maintains an effective partnership with parents and carers to support and improve pupils’ achievement and personal development. Seeks opportunities to invite parents and carers, community figures, businesses or other organisations into the school to enhance and enrich the school and its value to the wider community. an ability to deal professionally and effectively with parents. be flexible in outlook and amenable to change. Interviews are scheduled to take place during the second half of January, with the final round in Colombo early in February. However, BSC reserves the option to invite selected candidates to interviews in advance of this schedule.